The Bengal Bouts is an annual charity boxing tournament hosted by the Men's Boxing Club at the University of Notre Dame, with proceeds benefiting the Holy Cross Missions in Bangladesh. Begun in 1920 by legendary football coach Knute Rockne to condition football players in the offseason, the tournament later expanded entry to any member of the student body. 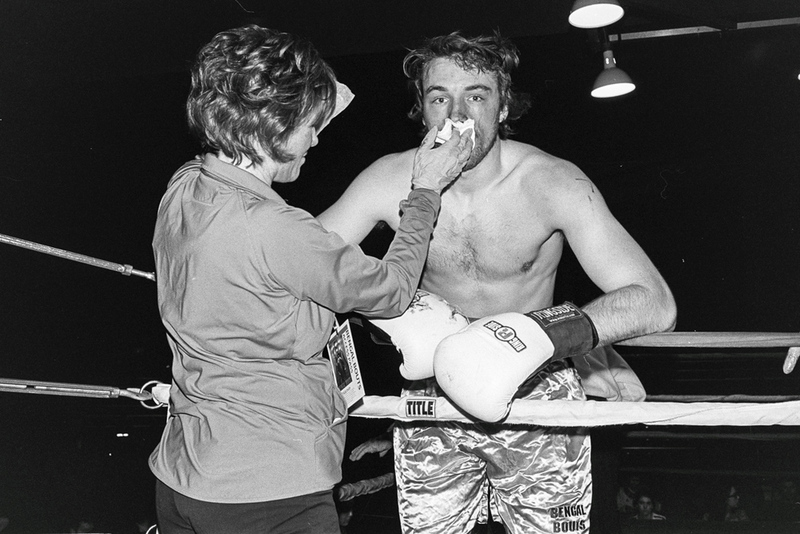 Under the guidance and direction of Dominic "Nappy" Napolitano, the charity aspect of the event flourished while following the Men's Boxing Club mantra: "Strong Bodies Fight, that Weak Bodies May Be Nourished." I was the odd man out at this tournament, in that my cameras of choice were not DSLR's at all. I brought two film rangefinders loaded with Tri-x film, hoping to capture something that hasn't been captured yet. After the first round I was dejected. It was so hard to capture motion and I felt like I had made a mistake. When I developed the film though, I was surprised. Not all of the photos were perfect, but they did indeed capture something different. I was encouraged enough to continue, and I'm glad I did. There is a certain poetic element to shooting a 95-year-old event with an equally legendary Leica rangefinder (made in 1957) and Tri-x film (first introduced in 1940). I specifically picked equipment with a rich history behind it, in the hopes of creating something timeless. Great gear for a great tradition. I hope you enjoy the results.